Located in Coreys Landing at Longboat Key Club. 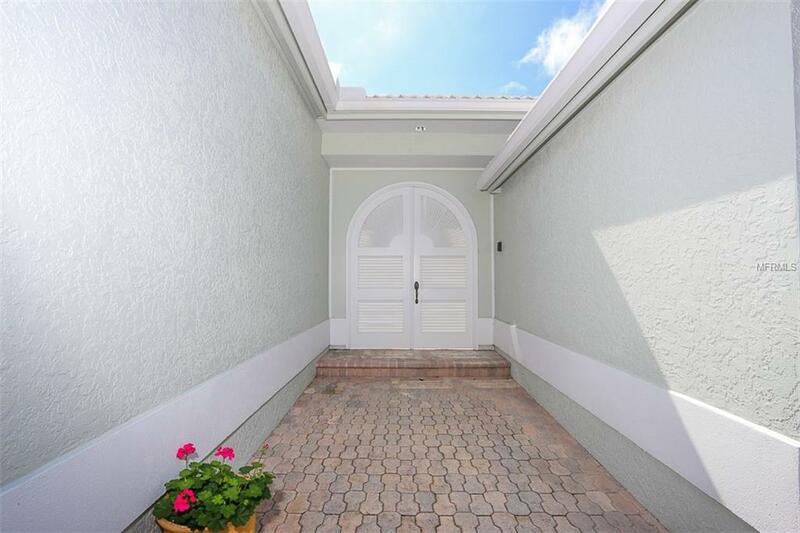 Privacy and comfort awaits you in this courtyard home. The main living room greets you with volume ceilings, white tile floors, custom entertainment and wall unit. Additional generous entertainment area through sliding doors that flow onto the enclosed paver porch with lush foliage background. Large open dining area is adjacent to the gourmet kitchen that boasts an eat-in space, wet bar, granite counters, gas cook-top, stainless vent hood and plenty of cabinets. The spit plan has a generous master suite with mirrored hallway and walk-in closets. Fabulous master bath complete with marble flooring, wrap around dual vanity and jetted tub. Private and airy en suite guest bedroom. There is a generous bonus room that is perfect for an office or reading room. Additional wall of sliding doors flows out to the newly refinished pool and spa. Brick paver decking in the courtyard pool area lead to the separate private guest casita. New roof in 2015 pool resurfaced 2017. Amenities Additional Fees Bay Isles Master Association Has A Fee Amount Of $1083 Per Year. Corey's Landing Homeowners Fee is $2205 Per Quarter. Corey's Landing Insurance Fee is $9861 Per Year For Flood Wind & Property Pkg. 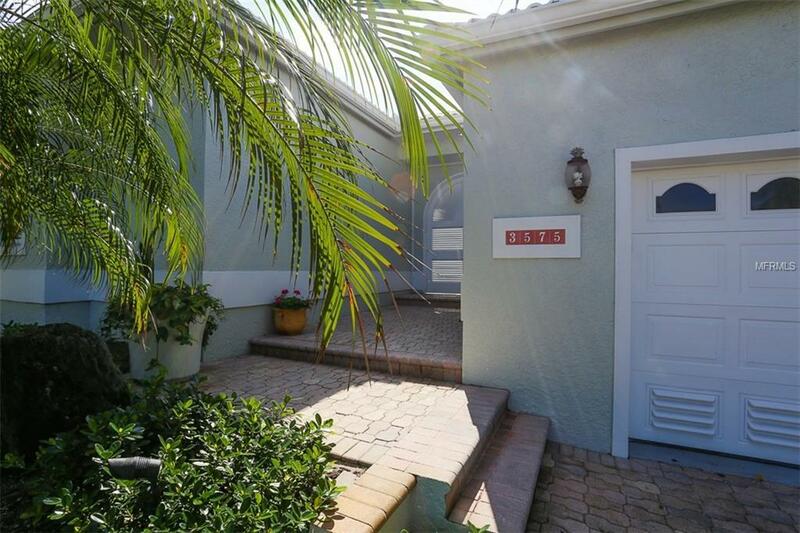 Listing provided courtesy of Florida Sun Realty Corp.